Forty-five is an age of reckoning in the tech industry. That’s the age in which prospects for tech workers begin to dwindle and salaries fall. By their 50s and 60s, such workers are making the same salaries as hires with two or three years’ experience, according to research by tech recruitment platform Hired. On the other hand, consider this: an exhaustive research by four academics recently found that the average age of a successful startup founder is also 45. While Silicon Valley’s ageism has been well-documented though, to a certain point at least, age is irrelevant. The most salient quality of a successful founder — old or young — is something we typically associate with younger people. Maybe that’s where the bias comes from. Before I talk about that special attribute that I associate with startup success, let’s take a look at the advantages of older founders. The survey I cited looked at various industries, which skewed the number higher. Not surprisingly, the average age for a successful software founder was a bit lower — 40. What may be surprising is that among the top 0.1% fastest-growing startups, the founders started their companies at age 45. Part of this is the law of averages; a 45-year-old has had an extra 20 years to try out new startup ideas than a 25-year-old has had. There’s more to it than that, though. A middle-aged founder has most often shed many of the self-oriented tendencies of youth (obviously, there are exceptions). At 45, one has had interactions in the office and outside it that have led to a level of maturity. As a result, founders have better self-management and are less likely to be fazed by circumstances. This helps them manage with a steady hand. Think, for example, of the late-period Steve Jobs versus his younger self. Or consider someone like Jeff Bezos who seems to be in his prime at 54. 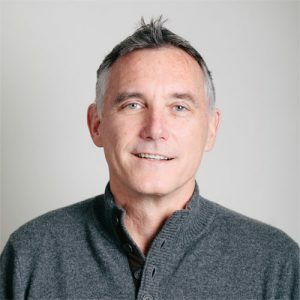 Also, one of my favorite CEOs ever, Workfront’s Alex Shootman, who was just named one of the top CEOs at age 53. The advantages of youth are obvious, which is why tech companies are biased toward them: they have lots of energy and can work long hours. They have different perspectives and are eager to try new things. They also don’t see limits, which can free them to explore solutions that an older founder might write off because of their past experiences. Obviously, both younger and older founders have advantages and I don’t think that age matters at the end of the day. People who have the vision, skills and motivation to create successful companies are so rare that judging strictly by age is silly. Instead, I’ve found one common characteristic of successful startup founders: they are open-minded and able to process a lot of information quickly. One way I’ve found for measuring this capacity is to talk to them about ideas that are new to them and see how they respond. People that process information very quickly absorb this new information and get the essence of it. They ask questions about it. You can see that they’re pondering what you said. People with lower information processing capability can’t comprehend new things as quickly. They’ll either stick with their view or change the subject. There are other qualities as well that I look for in a founder, including humility, but it’s this sense of open-mindedness, curiosity and fluid intelligence that is rare in the general public but common to successful entrepreneurs. One reason that we might stereotype tech founders as young is that we conflate this characteristic with youth. While it’s generally true that young people are more open-minded than older people, open-mindedness and curiosity are as endemic to entrepreneurs as a good eye is to photographers or the ability to organize is to a COO. Sometimes it gets better with age and sometimes it doesn’t, but we’d be foolish to assume that someone lacks it just because they’re on the wrong side of 45.